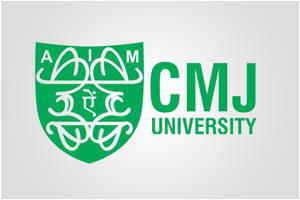 Aizawl, Jun 27 : Mizoram has officially asked all students from the State enrolled under the controversial CMJ University in neighbouring State of Meghalaya to withdraw and seek admissions elsewhere. The university which was created under a Meghalaya State Act in 2009 is under a cloud following the Governor of Meghalaya, Ranjit Shekhar Mooshahary taking several steps against the University for conferring alleged fraudulent doctoral and MPhil degrees. An official notification by the Mizoram Directorate of Higher and Technical Education de-recognised doctoral and MPhil degrees received from CMJ. A meeting held last May decided that CMJ degrees would no longer be recognised by the Mizoram Government, it said. A fact finding team was sent to inquire into the situation earlier and reported back that the ‘university is a fraud’. The team reached this conclusion on the basis of the fact that the CMJ produced hundreds of PhD degrees in a year with a faculty which had only a few doctorates, their report said. Meanwhile, the UGC which had granted CMJ its recognition for some courses had appointed a fact finding team which is yet to produce a report despite the turmoil the issue has caused among the 3,000-odd students who hail from across the region and the country. Following the Meghalaya Governor’s recommendations police investigations are on while the CMJ campus is locked.